I can’t believe it. 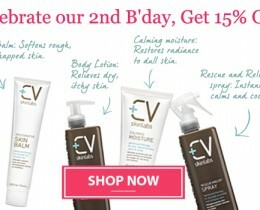 It was two years ago on March 15, 2012, that we launched CV Skinlabs. I want to thank each and every one of you who have supported us along the way. Your enthusiasm has been so key to our success. To thank you, we’re running a week-long sale from March 17-23rd.